So how does this whole moon thing work? To understand the moon’s dance moves, you need to know two major components: the phases of the moon’s cycle around the earth and the distance of the moon from Earth as it shimmies along its path. The moon orbits (circles) the earth once every month or so. This is its cycle. Along its path, the angles between the moon, earth, and sun shift so that what we see is a different part of the moon illuminated (by the sun) each night. Half of the moon is always lit by the sun, but as the moon orbits, we see growing and shrinking slices of the light called phases. A new moon: the first moon phase. The moon is closest to the sun here and the first visible crescent of the moon appears (it’s often invisible to us so the moon looks to be in full shadow). A full moon: during each orbit, there will be one point where the moon will be located directly opposite the sun in the sky, and what we see from earth is the half of the moon facing us completely lit—a full moon. Watch out for werewolves. A blue moon –– which isn’t really blue at all. 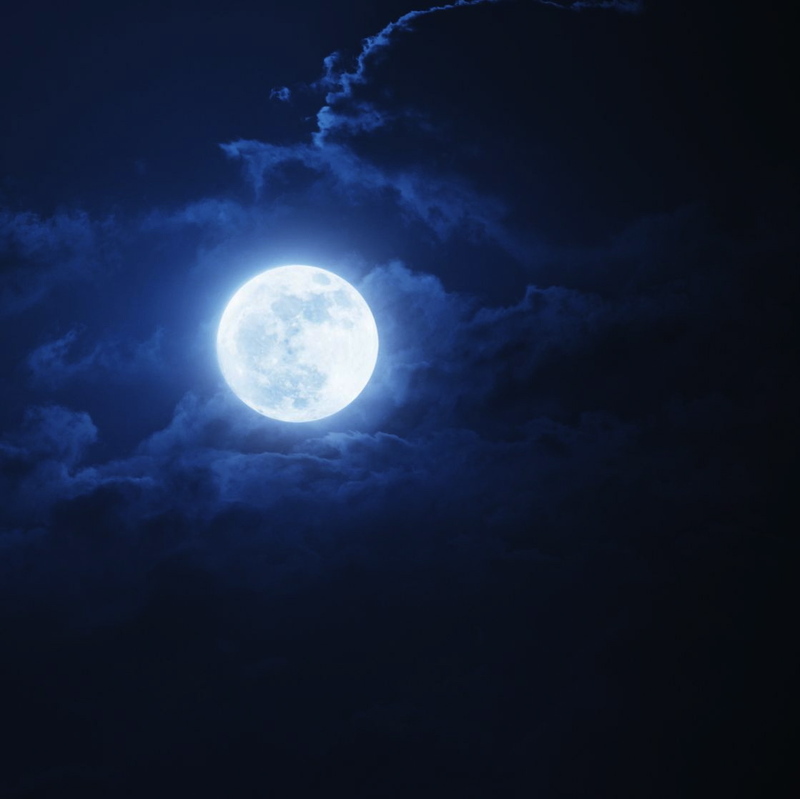 It actually means there is an extra moon in an annual cycle, which only happens every few years –– hence the phrase once in a blue moon. And a super moon is when a full or new moon is closest to the earth—which brings us to the second important aspect of the moon’s orbit: distance. The moon doesn’t orbit in a circle but instead in an ellipse (more of an oval), so the distance between the moon and us isn’t consistent, it changes all the time. When the moon is closest to us we call it perigee—roughly 200,000+ miles away; apogee is when it’s farthest at about 250,000 miles away. A few more cool moon facts: the moon is the same age as the earth and the rest of the solar system, about 4.5 billion years; you can see the surface of the moon by using a pair of binoculars or a small telescope; it takes about two days to get to the moon in a spaceship.